I had to pass by the mercatino usato to pick up my prized table that I purchased the other day and it just so happened that there was a pile of never-used, linen grembiule (aprons) from the 60’s. They are so beautiful and so well made. And the patterns and colours are so gorgeous. I fell in love with all of them so I ended up buying….all of them. 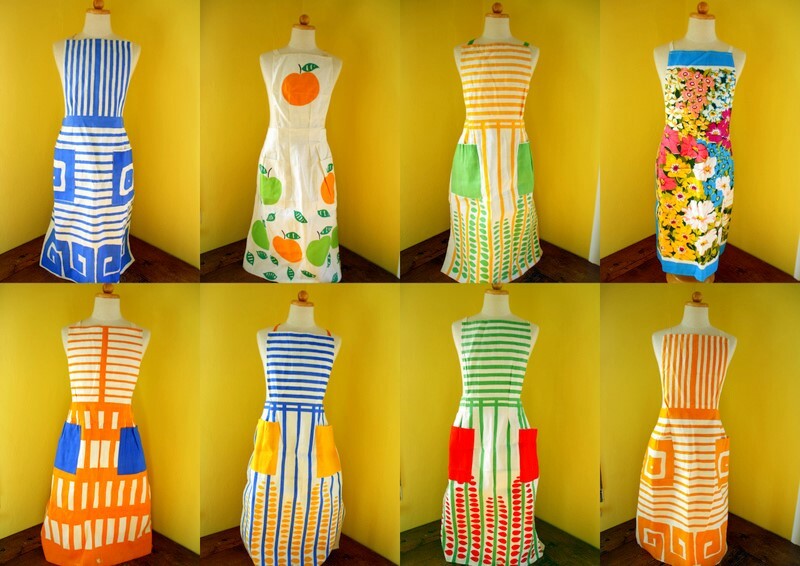 They will make perfect aprons for all my baking (and my new goal to look prettier in the kitchen) and I’m sure more than a few will be gifted to fellow bakers who I know will appreciate them. 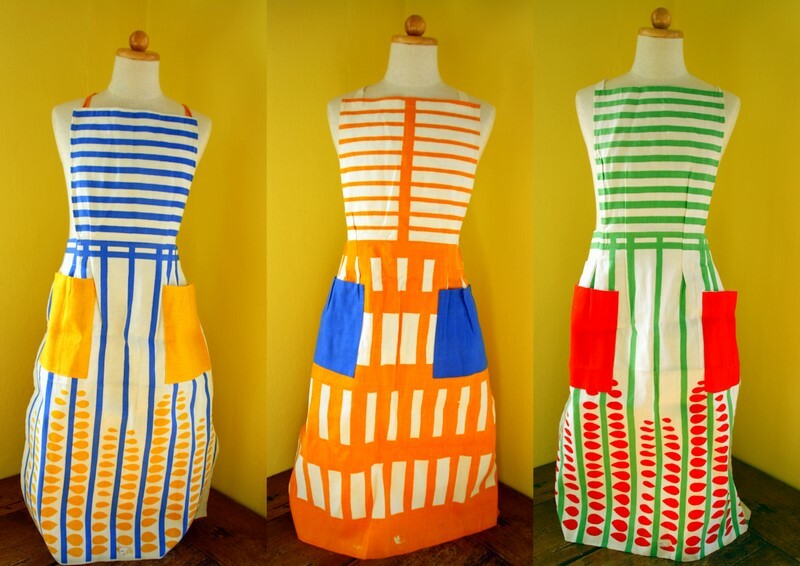 The cut of the aprons is so flattering and the palette of colours so reminiscent of the 60’s and 70’s. 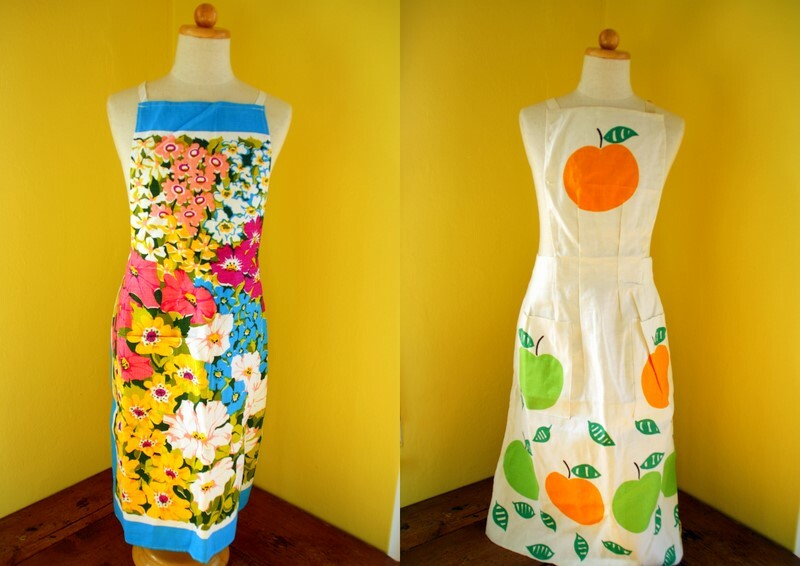 Flowers and apples! Is there anything cheery-er? They are so gorgeous – the materials must have been designed or printed just for them. I’m more than a little jalos. You’re right, that cut is beautiful. 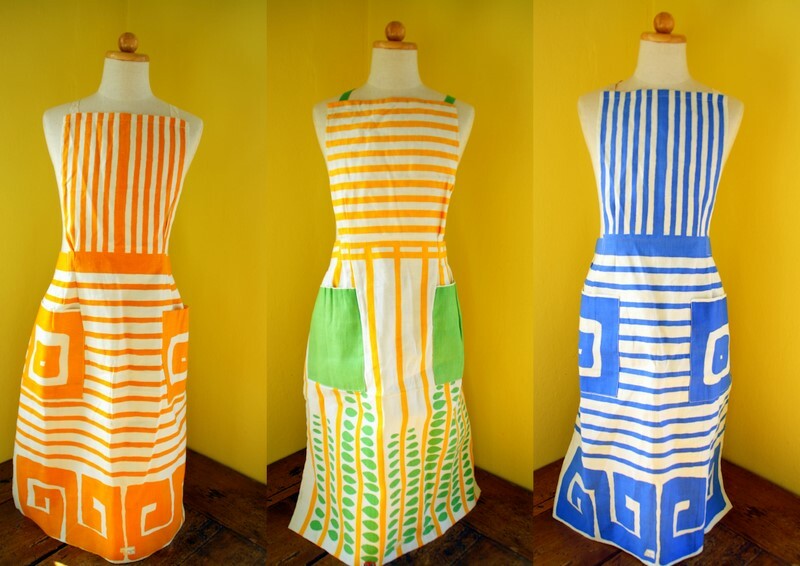 The first thing I thought was, I want a dress like that. Especially in those bright colors and great graphic esigns. Holy cow, one is cuter than the other! Great grab – they are gorgeous. You could do a raffle or a contest, and one could be a prize! ack!!!! i love that apple one!!!! Gorgeous! They are so cute, I love them, especially the blue and yellow one. But the apple-one is adorable too! Baking and gossiping…sounds like a date! Sweet! These are beautiful! Thanks for sharing! I LOVE THEM!!!!!!!!!!! I want one! ahhhh!